Brief summary of the paper: Recent empirical and conceptual papers have highlighted the potential for metabolism to act as a proximate mechanism for behavior that could explain animal personality (consistency over time). Under this hypothesis, individuals with consistently high levels of behavioral activity should also have high resting metabolic rate (RMR) as it can reflect capacity to process food and generate energy. 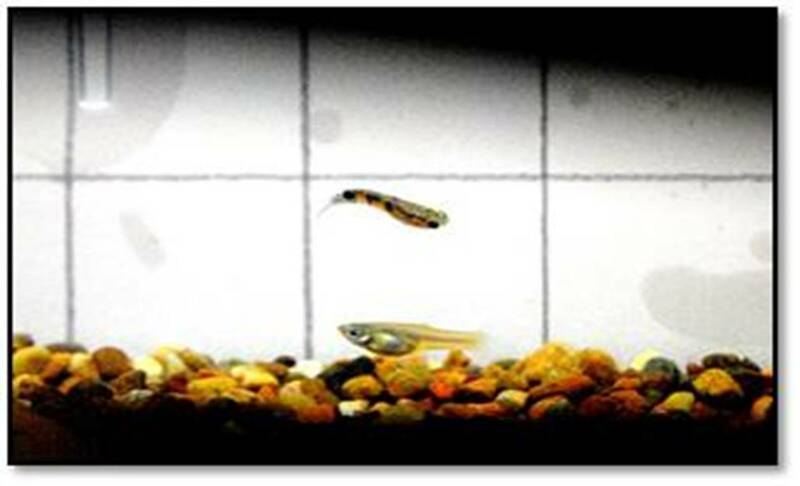 We tested for the predicted positive covariance between RMR and three behaviors that differ in energy demands in 30 male guppies, using multivariate mixed models; we repeatedly measured their activity (10 times each), courtship displays (nine times), voracity (10 times), and metabolism (four-times). Resting metabolic rate (measured overnight in respirometry trials) did not consistently differ among males, whereas initial peak metabolism measured during those same trials (R = 0.42), and all behaviors were repeatable (R = 0.33–0.51). RMR declined over time suggesting habituation to the protocol, whereas peak metabolism did not. Initial peak metabolism was negatively correlated with courtship display intensity, and voracity was positively correlated with activity, but all other among-individual correlations were not significant. We conclude that RMR does not provide a proximate explanation for consistent individual differences in behavior in male guppies, and therefore the potential for independent evolution of these physiological and behavioral traits seems possible. Finally, we identify peak metabolism as a potential measure of the stress response to confinement, which highlights the value of considering various aspects of metabolic rates recording during respirometry trials.